Congress is set to approve a major increase in funding for Alaska villages threatened by climate change. The spending bill passed by the U.S. House of Representatives on Thursday would double the budget of the federal Denali Commission, which funds infrastructure in rural Alaska, to $30 million. The new money is aimed at addressing “the most urgent needs” of Alaska villages facing “erosion, flooding and permafrost degradation,” according to instructions accompanying the bill. Joel Neimeyer is the federal co-chair of the Denali Commission. He said virtually all the new money will go toward moving the village of Newtok, in Western Alaska. The village is losing about 70 feet of land annually to coastal erosion, and residents worry it will be completely uninhabitable within a few years. Newtok has been trying to move to a new site, Mertarvik, which is several miles away. Neimeyer said the new funding could finally break the logjam. “We’re very excited that this $15 million will allow the community of Newtok to realize their dream of moving to Mertarvik,” Neimeyer said. Newtok has been trying to piece together enough funding to move for more than a decade. But the village has found itself in a Catch-22: government agencies that fund housing won’t build homes where there’s no infrastructure. But agencies that fund infrastructure — like water, sewer or power — won’t spend money on a village where nobody lives. The new money could break that cycle. The village plans to move used barracks from a military base in Anchorage and convert them into housing at the new site. Officials estimate moving the barracks will be significantly less expensive than building new homes, stretching out any funding. 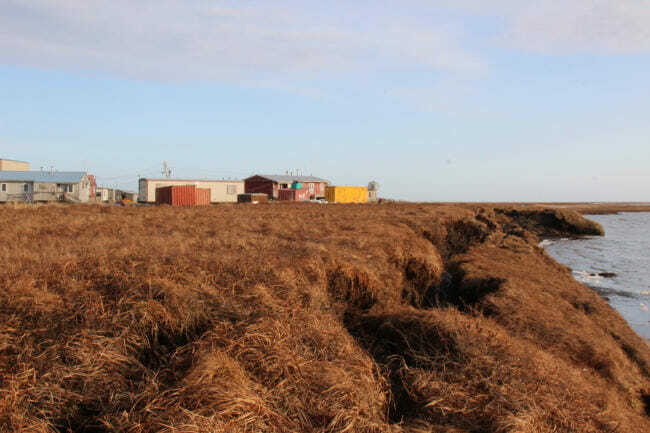 That would be a landmark moment for Newtok, and for the state of Alaska, which has not managed to move any of the coastal villages coping with erosion and climate change, despite years of work. If Newtok can move successfully, Neimeyer said, it could be a model for other threatened villages, like Shishmaref, Shaktoolik or Kivalina. “If we in Alaska can show Congress we can take their funds and put it to good use, and show that we can do this efficiently, effectively and smartly, perhaps that will open up the checkbook for the other communities,” Neimeyer said. 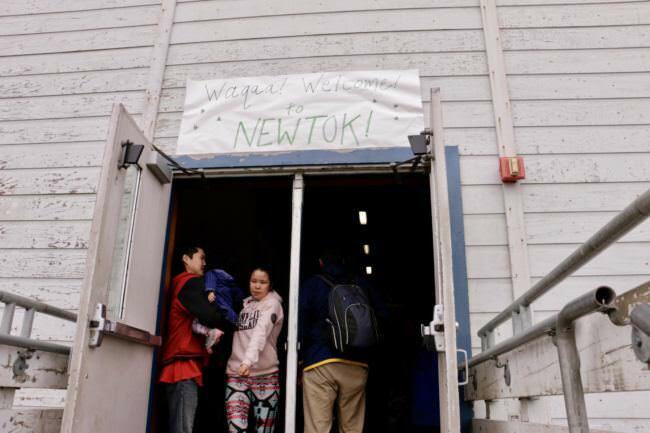 On Thursday, leaders in Newtok said they were not quite ready to talk about the funding. After years of waiting, they are holding off until the bill is officially passed into law. The spending bill now goes to the U.S. Senate, which must pass it by Friday night to avoid triggering a partial government shut down.